Long-term follow-up in AASK. Distribution of ESRD and deaths by BP study arm assignment in AASK. Long-term risk of adverse outcomes in AASK. 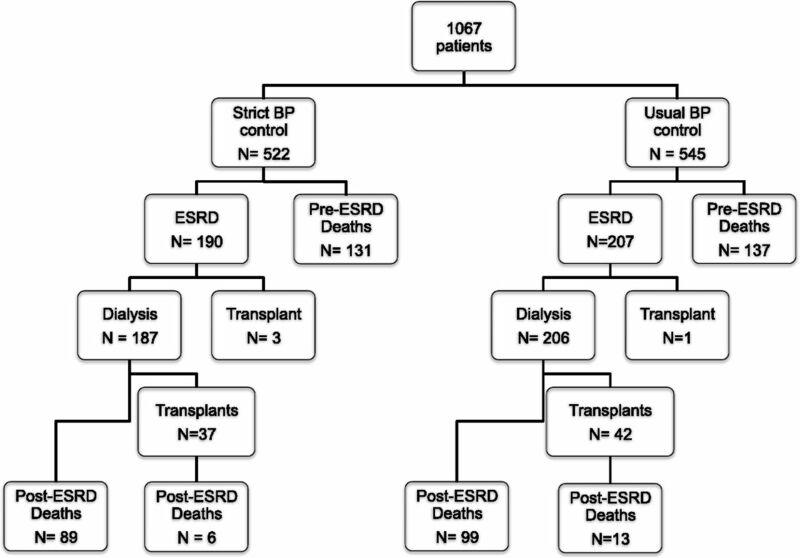 Risk of (A) ESRD and (B) death during long–term extended follow-up of participants in the AASK. All values are provided as N (%) unless otherwise specified. ↵a Heart disease was determined at baseline on the basis of a combination of self-report, chart review, or baseline electrocardiogram reading.